Not done yet; patterns will replace the solid, light green filler. But, I’ve made progress on the piece and learned something: I appreciate tiling experts! 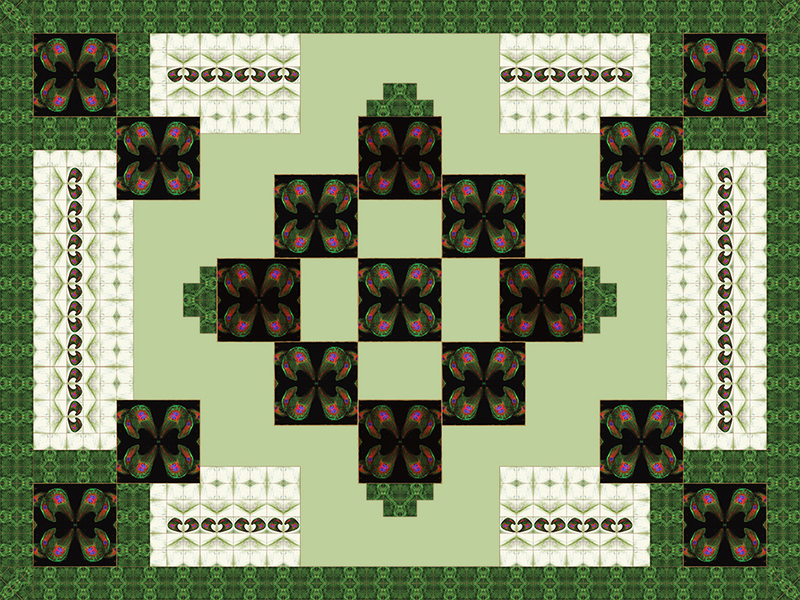 This piece challenges me even though I can re-size my tiles; alter their colors; and copy, reflect, rotate or align them with the click of a mouse. Without bending or messy grout. Qutub Lab (http://qutublab.rice.edu/) has given permission to use their beautiful cell images in this artwork. I do so with gratitude for their generosity and in awe of their research efforts. This entry was tagged arts, blood vessel cells, cell artwork, cell images, Nancy C Qutub, Nancy Qutub, research efforts, tile patterns. Bookmark the permalink.